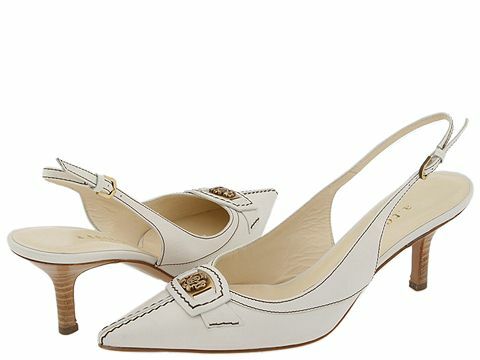 This elegant pointed toe pump by A. Testoni is a perfect way to complete a tailored look. Crest hardware detail. Contrast stitching enhances the design. Adjustable sling. Leather upper. Leather lining. Leather sole. Made in Italy.